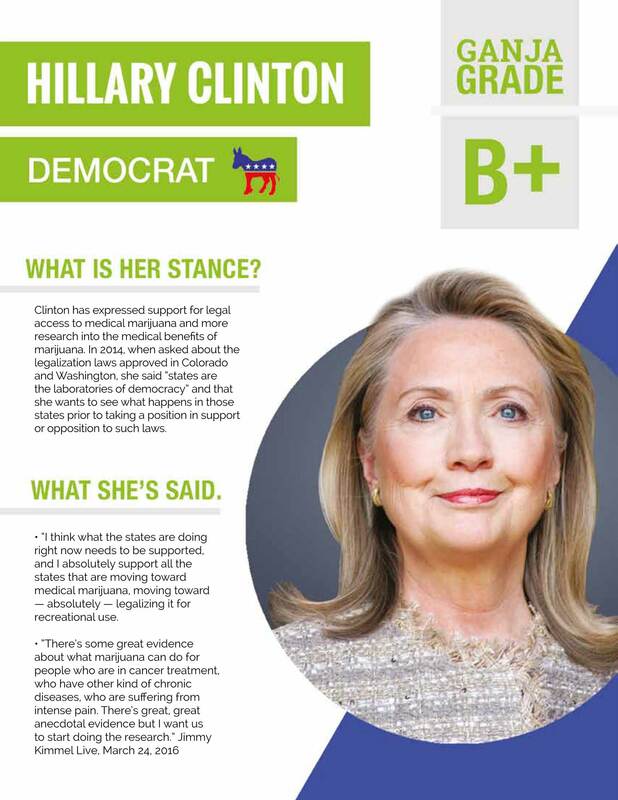 As you’ve probably been unable to avoid the circus sideshow that is the 2016 presidential race here in the great United States of America, we’ve decided to take a look and dig into the issues at hand. 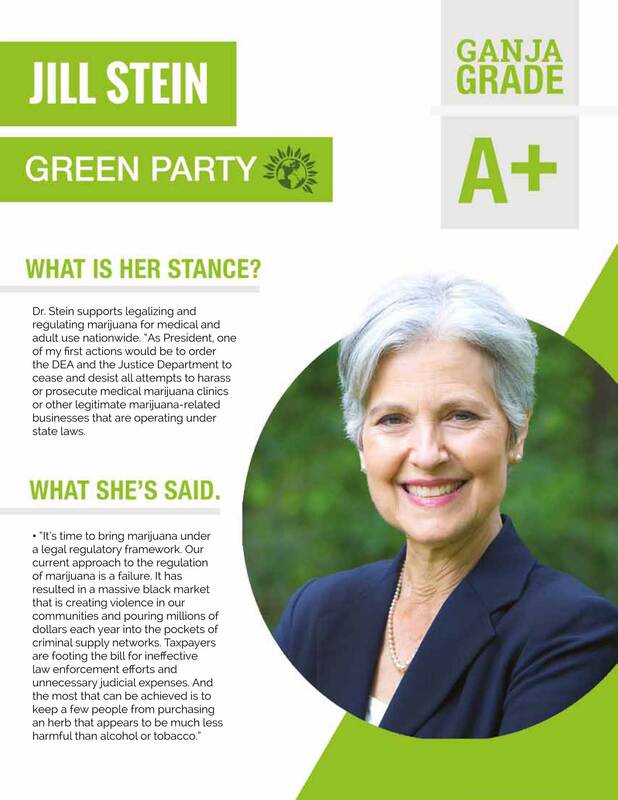 As many of you may realize, it is a crucial time for the newly-founded marijuana industry in this country. With Colorado on the front lines, many of our friends and neighbors are dependent upon the success and continued growth of the industry. Millions of dollars have been invested in production and the sale of recreational and medical marijuana and it has without a doubt grown the local economy for many Colorado neighborhoods. It’s safe to say that the marijuana industry has graced every corner of the state. 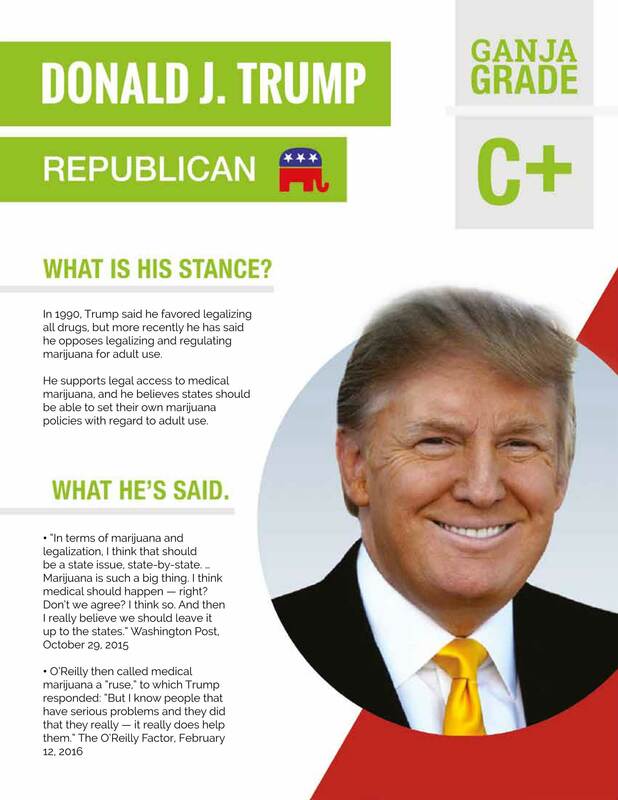 While we here at the Gazette would certainly hope that legislation on marijuana both medicinal and recreational will continue to be left up to state governments, we all know the influence that the leader of the free world has on America’s federal policies. As it stands, despite medical cannabis laws in 40 states and recreational sales in Colorado and Washington, cannabis is still illegal under federal law. The federal government regulates drugs through the Controlled Substances Act (CSA) (21 U.S.C. 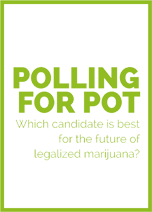 § 811), which does not recognize the difference between medical and recreational use of cannabis. These laws are generally applied only against persons who possess, cultivate, or distribute large quantities of cannabis. 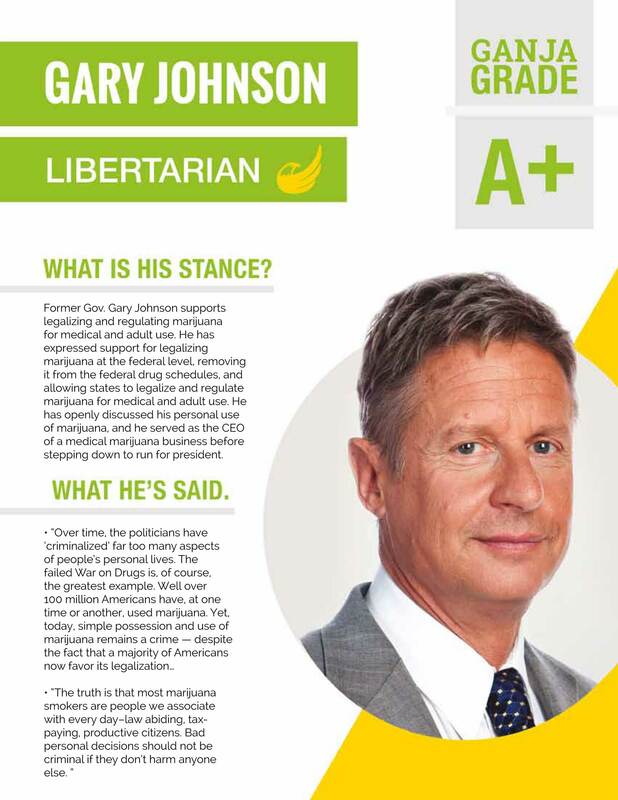 So hypothetically speaking, with all of this the industry’s fate is left in the hands of one of the top four presidential candidates, which candidate polls best for pot? Although mainstream media likes to view things as a two party race we would like to widen the lense to shed light on the top four parties. Where do they fair and just how willing are they to fight for this issue?